Hawaii Five-0 Season Six: Starring Waikiki! Hawaii may have some of the best weather and beaches in the world, but let’s face the facts: Many visitors come to Hawaii to check out the amazing scenery they’ve seen when watching Hawaii Five-O! If you’re a fan of the show, you’ve no doubt noticed that Oahu is an important “cast member,” and Waikiki typically has a “starring role.” So, you may recognize one of the most popular on-location backdrops in Waikiki, a string of hotels managed by Starwood Hotels and Resorts in Waikiki: the “pink” Royal Hawaiian, a Luxury Collection Resort; the Moana Surfrider, a Westin Resort and Spa; and the Sheraton Waikiki. 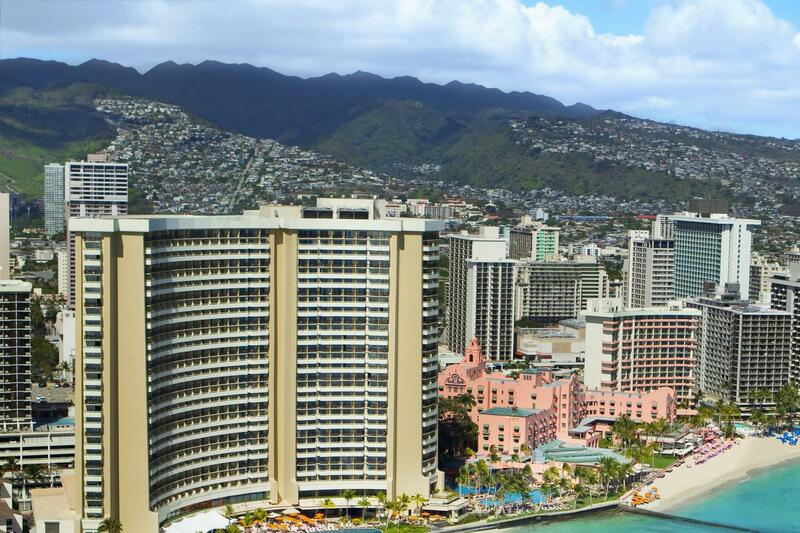 The Sheraton Waikiki will be in the fourth episode of Hawaii Five-0 Season 6. In deference to its role as part of the popular show, Starwood Hotels and Resorts has announced they’ve, once again, negotiated an agreement to serve as official production partner for Hawaii Five-0 in Season 6. Starwood and CBS also partnered throughout the Emmy-nominated crime drama’s Season 5 in 2014 and 2015. Filming for Hawaii Five-0 has already taken place at the Starwood Waikiki hotel properties owned by Kyo-ya and managed by Starwood. These three oceanfront resorts were prominently featured in various episodes last season and are expected to be featured again throughout Season 6. This season’s first appearance by a Starwood property will be Sheraton Waikiki in the series’ fourth episode, which will be broadcast mid-October 2015. Subsequent episodes will also feature Moana Surfrider and The Royal Hawaiian. If you want to learn more about the show’s behind-the-scenes happenings and visit many of the locations featured in the show, you can also sign up for a Hawaii Five-0 tour at Hawaii Jeep Tours. Just click here to find out more about this amazing tour that features all the sights and venues featured in the show. During your stay in Waikiki, you may be lucky enough to see some of the cast members or watch a scene. You can also find vacation packages to round-out your Hawaii Five-0 experience at Hawaii Aloha Travel . Aloha Bruce can help you make the show part of your vacation experience! For more information about or to make a reservation for the “Hawaii Five-0 Stay and Play” package, please visit http://www.onlyinwaikiki.com or call the reservations department at 808-921-4610. If you’re a Hawaii Five-0 fan, there’s no better place to be than Oahu. So, take advantage of these Hawaii Five-0 packages, and you’ll really feel like part of the action!